The WHO regard air pollution as the top killer in the world. It is not just an urban problem. Here in the UK, it causes varying degrees of health issues from nose and throat irritation, to childhood asthma, strokes and heart disease. Air pollution has an effect on mortality equivalent to tens of thousands of people dying prematurely in the UK every year (COMEAP). 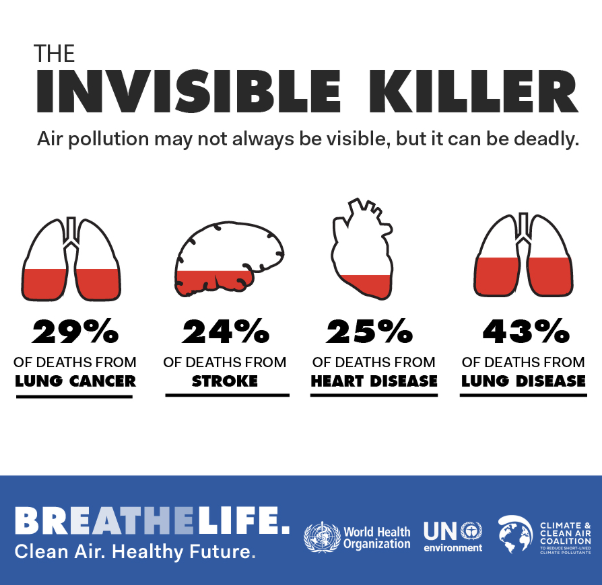 This invisible killer is a serious problem and increasing due to climate change at home and worldwide. 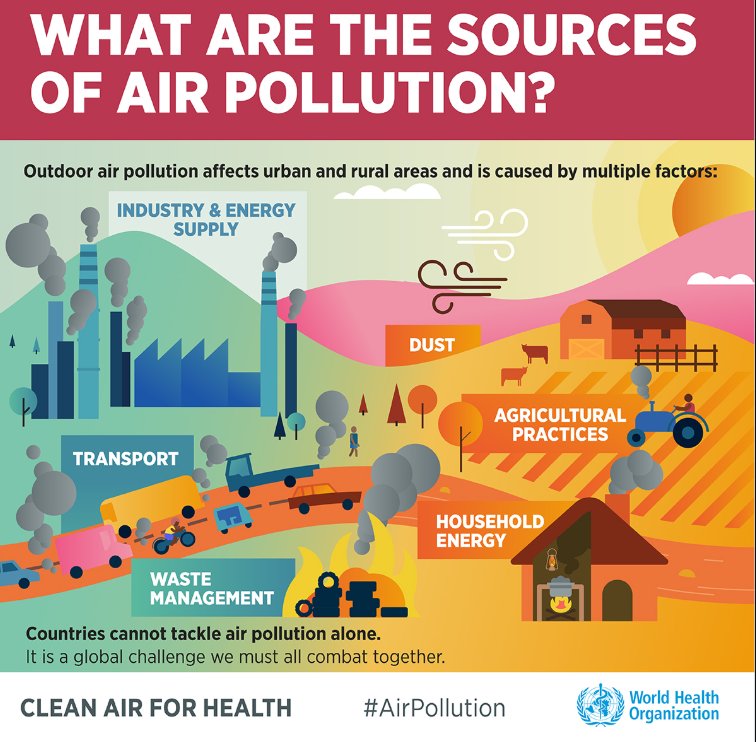 If you live in an urban area and walk or cycle along busy town streets you will be well aware of air pollution problems but there are different types of pollution which causes various problems and have different sources. 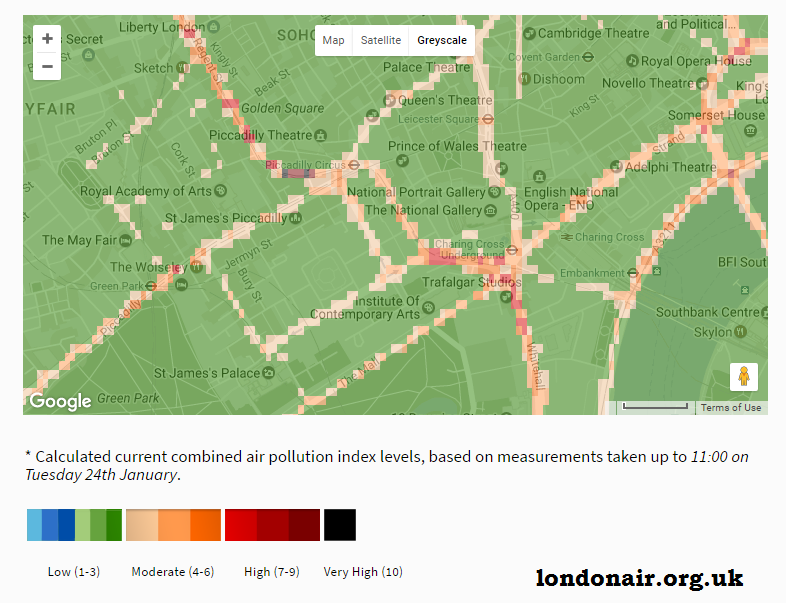 As it is invisible, most of the time, then it’s worth understanding the monitoring and alerts systems to see what is going on with air pollution levels in the UK. Idling cars (those sitting in queueing traffic or waiting outside school for children with the engine still on) emit double the emissions of a car driving along. Car engines are designed to run effectively at speed, say over 30mph. Traffic fumes react with sunlight and low-level ozone forms, Agriculture adds plenty of ammonium into the air, particularly at spraying time. Sea spray and aerosols containing salt can interact with airborne chemicals. There are natural particles in the air, like wildfire smoke, Saharan dust and soil (that does include a human influence, how did it get loose?). Around the world, there are other problems which can also reach us. Volcanic eruptions introduce sulphur dioxide and ash into the atmosphere. Cooking on wood fires in developing countries is a major problem for heath, particularly for women. 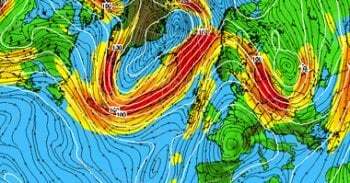 Air pollution becomes more widespread when high pressure develops over the UK, settling our weather down, the winds fall calm and the air doesn’t move much. So, within an anticyclone, there is slowly descending air and our usual brisk SW slow off the Atlantic can’t do it usual dispersive job. 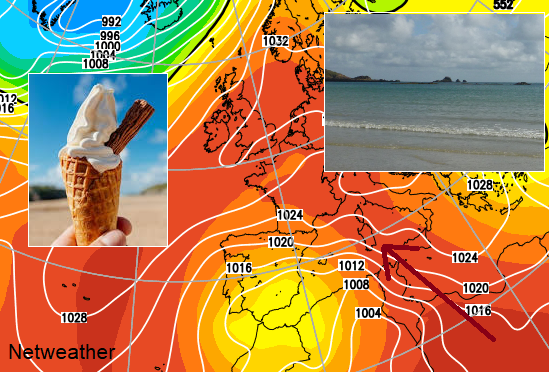 What can also happen is instead of having a clean-ish flow off the sea and quick vigorous flow of air away from the UK, we can pick up an easterly or southeast flow. In this our own pollution is brought back to us and pollution from Europe heads our way. 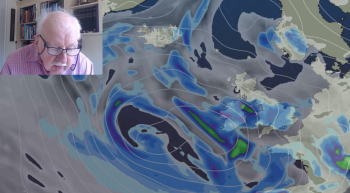 But for most of the year, our prevailing winds are off the Atlantic so blaming the continent or Saharan dust for all our pollution problems is just incorrect. In a strong southerly flow, we can pick up Saharan dust when then deposits on people’s cars giving our air a reddish tinge. In these high-pressure situations, a haze often develops after a few days. 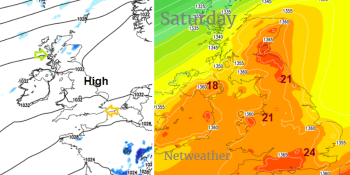 The visibility distance, part of the hourly weather observations, decreases and although there maybe a lot of fine, settled sometimes sunny weather the haze can be quite obvious and unnerving. That is as particles stay suspended in the air, trapped and not be cleared away. Pollution levels often rise in these situations and spark event interest. However, added to these is the ongoing background everyday pollution. Both are serious and both can cause serious health problems. Particulate matter and Nitrogen dioxide are the main two pollutants and Ozone results from chemicals reacting with sunlight. The health implications vary with each pollutant but as with very cold or very hot weather, extreme air quality conditions, and extra strain created will affect certain groups more. For example, elderly people, children, those with underlying medical conditions. This is serious stuff, with ambient ongoing background air quality already reducing people’s life expectancy worldwide and when high pollution events occur it can result in life-altering episodes such as strokes, heart attacks, serious asthma, even early death. 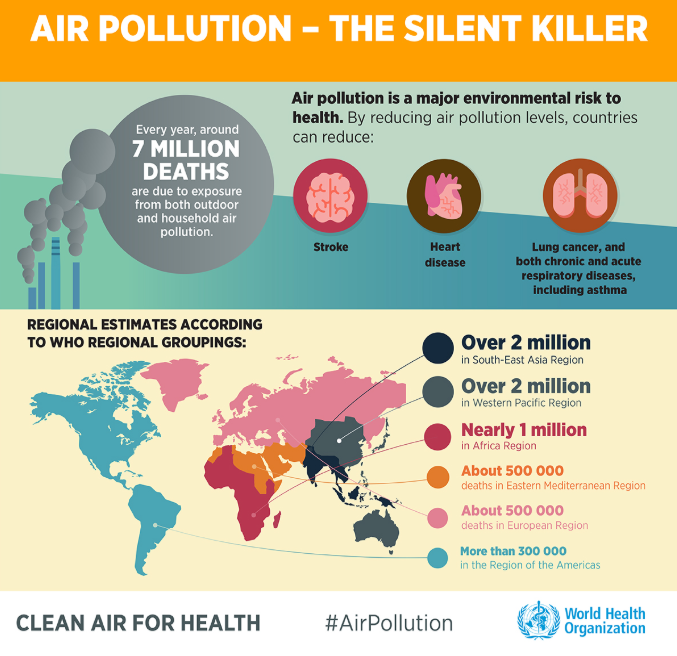 WHO 4.2 million deaths every year as a result of exposure to ambient (outdoor) air pollution. 3.8 million deaths every year as a result of household exposure to smoke from dirty cookstoves and fuels. Particle pollution comes from many different types of sources, mostly from chemical reactions between pollutants. They are a mixture of solid little bits and liquid droplets, things like dust, soot, soil and smoke. 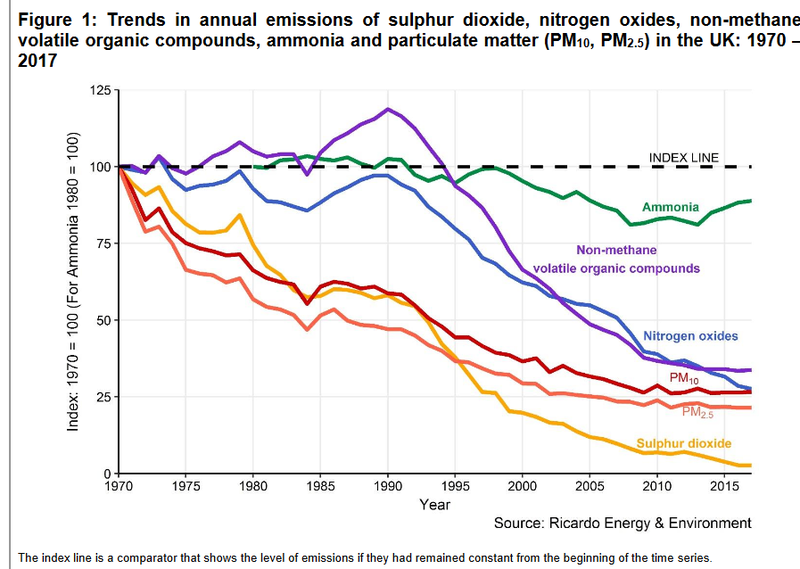 Fine particles (2.5 micrometres in diameter and smaller) PM2.5 come from power plants, industrial processes, exhausts, woodstoves, and wildfires. Coarse particles (between 2.5 and 10 micrometres) PM10 come from crushing and grinding operations, road dust, and some agricultural operations. Over a third of the PM2.5 emissions in 2017 were from domestic combustion, that is those comforting wood burning stoves. The PM2.5 particles are more dangerous as they can travel right down deep into your lungs, even getting into the bloodstream. They can cause serious health problems. What can you do? If levels of PM are high, then it is worth reducing exercise, taking more breaks. Consider changing the day or time of activities if you have existing health concerns or moving indoors. Keep your car tuned and running well. Use public transport, drive less, don’t smoke. Think about an alternative to a wood burning stove. Don’t burn rubbish and choosing energy efficient appliances. 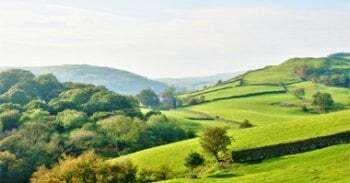 Peaks of particulate emissions can be related to farming practices. Most emissions of ammonia come from agriculture (87% in UK) in the form of a gas produced by slurry or other rotting farm waste and fertiliser. The main sources of ammonia are natural from slurry/decaying farm waste and fertilisers. It is a just carried on the wind and is a powerful pollutant because of its capacity to combine with other pollutants in the atmosphere to create very small particles, the PM 2.5s. It causes respiratory problems for adults and children and results in acid rain and damage to the environment. 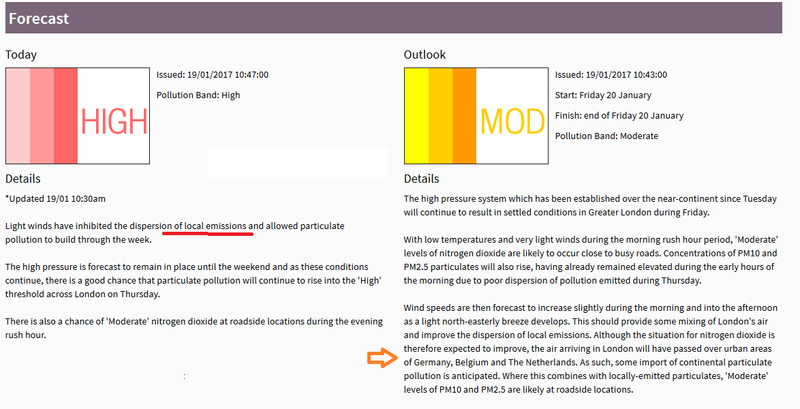 There are plenty of regulations around NOx to reduce emissions. Reductions in NO2 come from the modernisation of the road transport fleet and less coal being used in power stations. Catalytic converters and MOT emissions checks have helped over recent decades. The changes to renewal energies also helps but biomass fuel can add to particulate emissions instead and of course, the nuclear industry has its own issues. There is also ozone, low-level ozone rather than the infamous ozone layer high up in the atmosphere, which is necessary to block UV. The low-level ozone pollution or smog needs sunlight to form, so often peaks in the afternoon and can be seasonal. Vehicle emissions give out nitrogen oxides, which combine with other chemical compounds VOCs * and react with the sunlight to produce ozone. Ozone can also be transported long distances by wind, so even rural areas can experience high ozone levels. Ozone affects people’s breathing as it enters peoples’ lungs. The airways constrict, so there are obvious issues for asthma sufferers and children as their lungs are still developing. It can make people wheeze, cough and feel short of breath and create stress in a body which can heighten the risk of other medical issues. It also damages crops and trees. How to reduce – Less traffic, so fewer emissions. Careful use of household and garden chemicals. Helping yourself – Maybe altering the time of day for exercise, or different day depending on pollution forecast. Looking after others who may be more vulnerable. 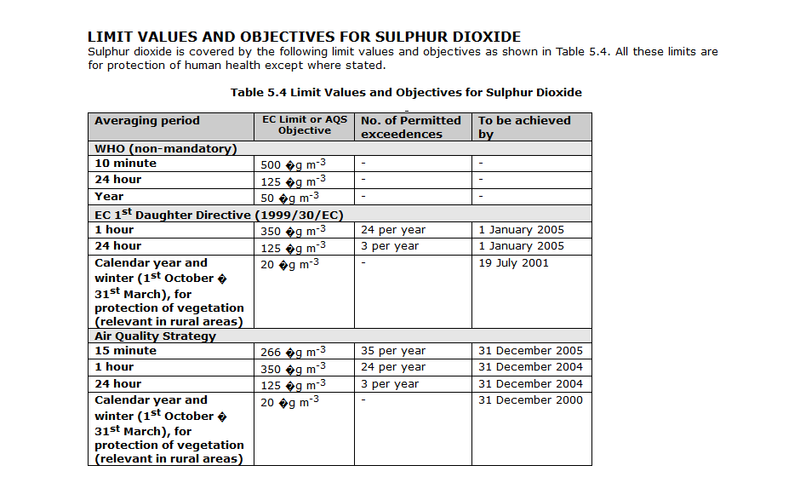 Sulphur dioxide occurs both naturally and as a result of human activities. It irritates airways and is relatively dense; about 2.5 times heavier than air, so comes to ground level in the atmposphere. The main source of sulphur dioxide into the atmosphere is from the burning of fossil fuels in power stations, oil refineries and industrial plants. Vehicles and domestic boilers also release sulphur dioxide. It is also produced naturally as a result of forest fires and from volcanoes. Sulphur dioxide also dissolves in water droplets in clouds which then fall as acid rain - sometimes thousands of kilometres from the site of emission. 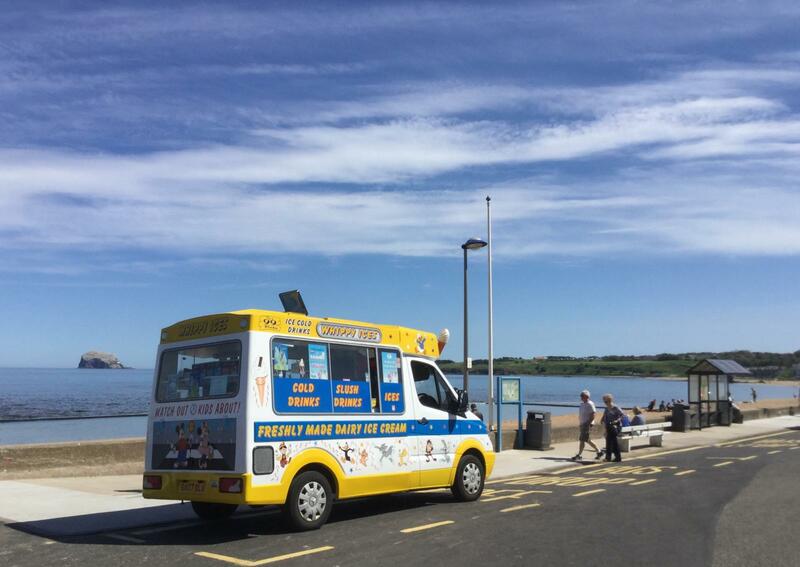 In Northern Ireland, domestic solid fuel and oil burning is a major source of SO2. There have been dramatic steps to reduce SO2 pollution as this was responsible for the Great Smog of 1952 and thousands of deaths as it causes respiratory problems. The decline of coal powered power stations has been key to reducing this type of pollution in the UK. The different types of pollution have different limit values and ceilings set. Here in the UK we should not be near the WHO levels. 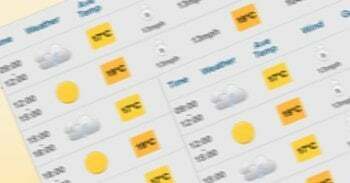 I spoke to Simon Birkett Founder and Director of Clean Air in London about these and the alert systems for air pollution in our cities and forecasting. This will be looked at in a second part of this blog. Coming soon. 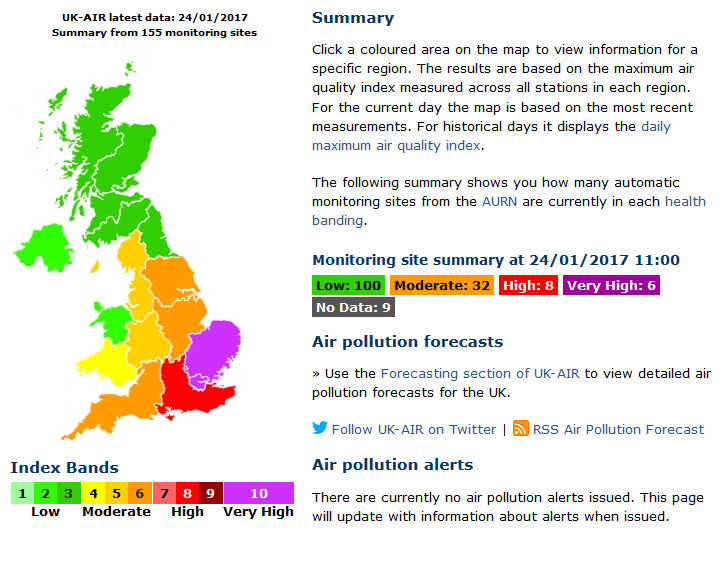 It is all very well to monitor the air quality and air pollution levels to check that the UK is meeting the targets and as the data comes in and issue alerts if there are spikes. These can be received on your phone or by text when events occur but forecasting ahead is useful in health terms. It would allow for better planning and adaptation. Understanding the different pollutants, their sources and formation along with the effects can help us protect ourselves slightly. Mostly we rely on government and council action. If air quality is reported well and widely there will be more awareness from the general public and then more pressure for improvements and action. The monitoring data and forecasts need to be clear and easy to access.